Cleverscript’s first major use was in a text-based game to promote the James Bond film Skyfall in late 2012. Since then it has been used in some of our own apps such as Angry Dude and Clevernator and in several private projects. 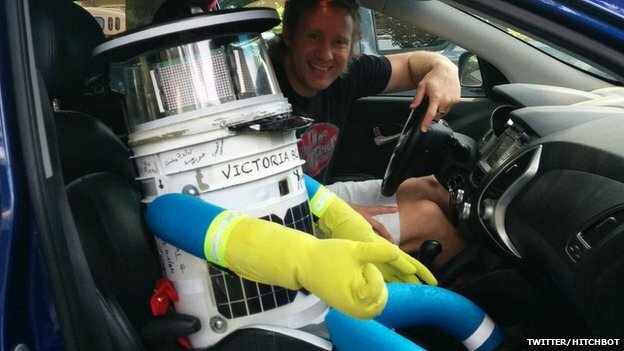 Our biggest public projects include: Hitchbot a robot which hitchhiked across Canada in the summer of 2014, chatting using Cleverscript; and a Star Trek themed web chat for Volkswagen’s e-mobility campaign.